Stormwater Lee and I (“the scientist”) argue about who has the best job in the world. Well, I’m here to tell you that sitting in with 10-20 engaged citizens trying to preserve, protect, and learn about their special places ranks right near the top of the list of coolest things to do. 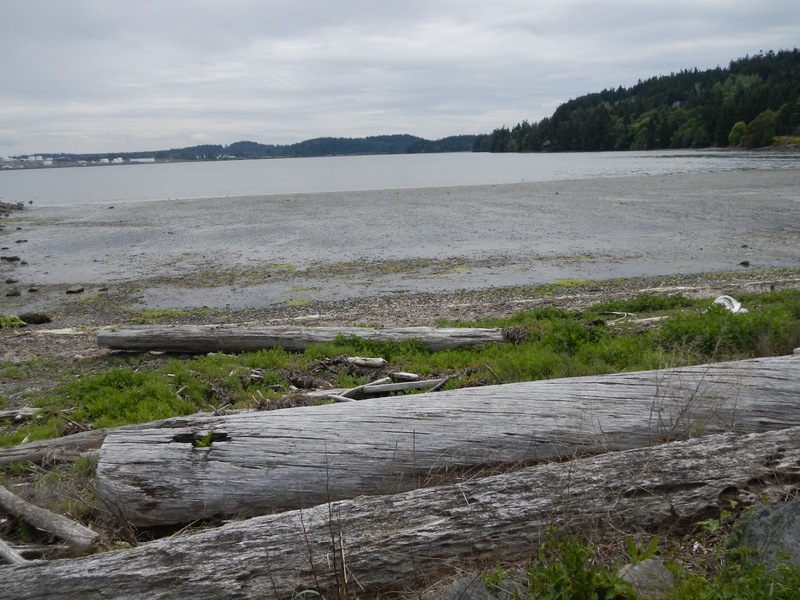 RE Sources has partnered as the local organization with People for Puget Sound to facilitate citizen stewardship committees for the Fidalgo Bay and Cherry Point Aquatic Reserves. The stewardship committees are designed to implement projects associated with management plans for the Department of Natural Resources (DNRs) Aquatic Reserves. As citizen committees, they will focus on the activities that citizens can do, including education & outreach, citizen science and monitoring, and technical review. 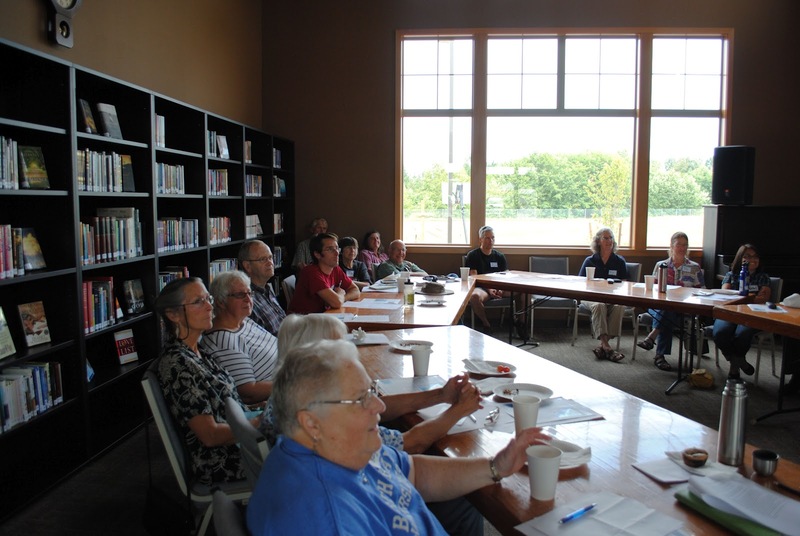 We recently had our first stewardship meetings for both Fidalgo Bay and Cherry Point. These first meetings were pretty process-heavy, with Maddie Foutch, staff lead on the Aquatic Reserve project, giving a general overview, and Heather Trim, giving the logistics and outlining the process to obtain a charter and work plan. Both Maddie and Heather work for People For Puget Sound, the organization that received a grant from WDFW/DNR to implement stewardship committees in 5 of the 7 Aquatic Reserves in Puget Sound. As the local representative, I gave an overview of the local interests concerned about the reserves and the activities that have taken place in the reserves to date. In Fidalgo, the interests who have been most active include the Samish Nation, the Skagit County Marine Resources Committee, the Skagit County Beachwatchers, and the Friends of Skagit Beaches. These groups have worked to promote and conduct educational, monitoring and restoration activities in and around the reserve. At Cherry Point, the most active interests have included the Lummi Nation, the industrial facilities within the reserve footprint, and several environmental groups and individuals with a long-history of championing Cherry Point as an environmental treasure. This latter group includes North Cascades Audubon, our very own RE Sources, and individuals including Fred Felleman (local refinery and orca expert) and Marie Hitchman (local botanist). Activities at the reserve have mostly been confined to trash pickups and naturalist education. The differences in stakeholders and activities in these reserves stem from the layout of the reserves, the amount of public access to the reserve, and the proximity to population centers. The Fidalgo Bay Aquatic Reserve lies mostly with the City of Anacortes boundary, whereas Cherry Point is West of Ferndale and far afield for many folks. While both reserves are influenced by nearby industrial activity, the influence at Cherry Point is undoubtedly greater. The Fidalgo Bay Reserve is adjacent to 2 oil refineries, whereas 3 industrial facilities, 2 refineries and an aluminum smelter, are actually bounded by the Cherry Point Reserve on three sides. Public access to Cherry Point is also more limited as much of the shoreland is owned by the industrial facilities which operate there. The differences in the Aquatic Reserve layouts and access options will likely lend themselves to different stewardship activities. In addition to the Reserves themselves, however, the committees will also drive different stewardship activities. That is the most exciting part of the citizen stewardship committees. The committee itself will choose the most important, exciting, and achievable work in which to engage, while still adhering to the general guidelines of the Aquatic Reserve management plans. The ideas and discourse in the Anacortes Public Library and the Birch Bay Bible Church came fast and furious. There was good dialogue, laughter, and puzzling through logistics. In Fidalgo, there were the logistical questions about who was doing what already and how does the group fill an unexploited niche that satisfies DNR needs and the community. Who should the committee hear from and in what order? And, then there were the immediate self-nominations for chair, vice-chair, and a charter committee who will present a charter at the next meeting. In the Cherry Point meeting, there was the strong and unanimous desire to start the next meeting focused on potential citizen science project prioritization right away, in order to pick a project and achieve some real measurable results. In both places, citizens were engaged. These citizens are volunteering their time to work on the Fidalgo Bay and Cherry Point Aquatic Reserves to make a difference in our civic and actual landscape. I get to facilitate the work of two different groups, coming together as a working committee to protect, preserve and learn about their special places. I get to be part of a community that is working on behalf of our natural world. This truly feeds my heart and soul. Cool job, huh? If you are interested in learning more or joining on of these committees, contact Wendy Steffensen, or Maddie Foutch.